When it comes to residential garage door repair and installation in Chicago, IL, we’ve got you covered! KG Doors & Gates specializes in security gate repair and installations as well as garage door repair and installation. We carry a large selection of parts on our trucks to fix most common repairs and our technicians have a vast amount of experience with all makes and models. With our easy scheduling, we can get to your home for same-day service and have your door fixed in less than 30 minutes in most cases. On top of that, we provide all residential customers with an industry leading warranty on repairs or services that come with a 3-Year Parts and 90-Day Labor warranty. Additionally, you are a business owner, we also can provide you with commercial garage door repair in Chicago that also features a parts and labor warranty. Call us today at 888-790-7624 for your next service or installation for a free, no-obligation estimate! You can also set up an appointment that’s convenient to your schedule. 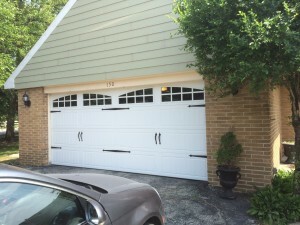 If you have any questions about our residential garage door services or would like to know more about our other offers like security gate repairs/installs in Chicago, please let us know and we will be happy to answer them for you!